Nigerian scammers open FAKE ANTI TERRORIST HOTLINE number!! On the fake London Metropolitan Police web site, Nigerian 419 advance fee fraud scammers published their copy of the "anti terrorist hotline". 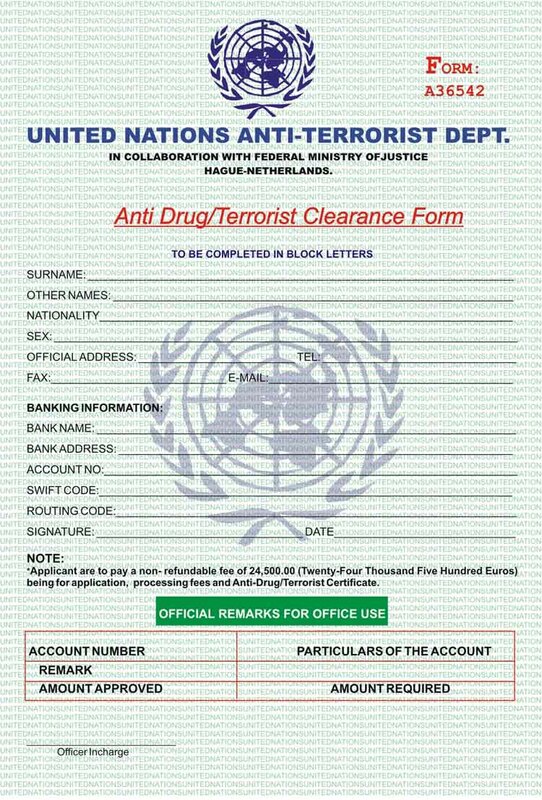 This way they can sell "Anti Terrorist Certificates" to their victims which are needed to secure payments from abroad. They actually could also receive "anti terrorist hotline" reports from the general public. In 2006 Nigerian scammers have launched web sites of INTERPOL, SEC and THE U.S. SECRET SERVICE. Nigerian 419 Advance Fee Fraud organizations have created a COPY of the WEB SITE OF LONDON METROPOLITAN POLICE the police organization that is suppose to combat Nigerian 419 advance fee scammers. In 2006 Efforts by the British police against Nigerian 419 Advance Fee Fraud have almost come to a halt! Members of Nigerian scamrings in the UK obviously feel free again to impersonate the Police and Anti Terrorist efforts to convince their foreign victims (mainly from the US, Asia and mainland Europe) of their "real" Inheritance, lottery and African million dollar deals.